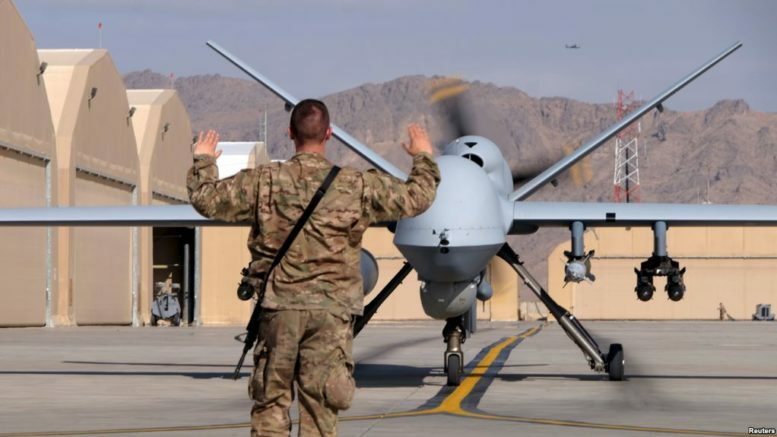 U.S. military says new airstrike at Gandarshe Mogadishu killed 13 Al-Shabaab militants, Friday. 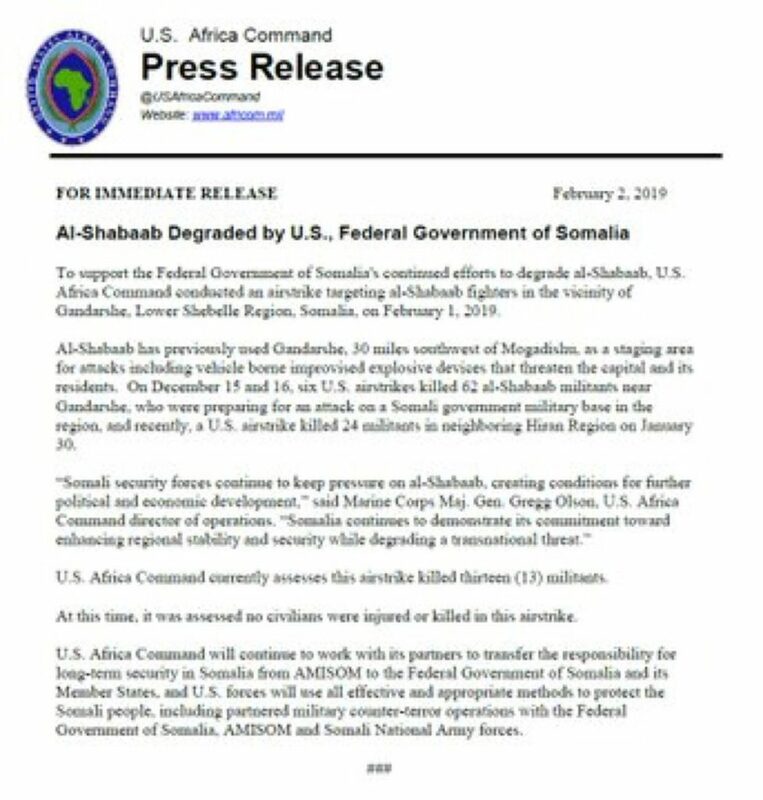 Gandarshe, south of Mogadishu is used by Al-Shabaab as a staging area for attacks, per @USAfricaCommand. This is strike #10 by the U.S. this year against Al-Shabaab.